Today I wanted to talk to you about the fundamental steps between wherever you are now and actually reaching that freedom and fulfilment. There is a formula, right? So as I mentioned, finding freedom and fulfilment as an entrepreneur sounds a little dicey, right? 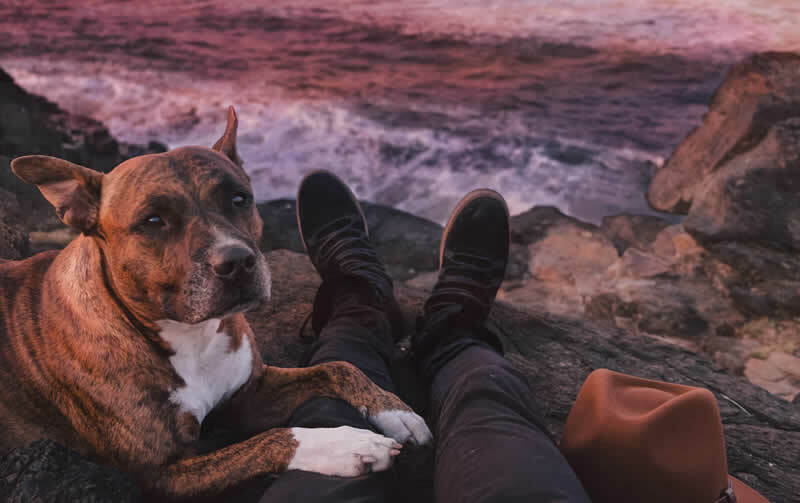 Most of us spend way too much time doing stuff that we hate and when you’re a business owner, freedom is probably the last thing you feel like you have a lot of and that’s because it happens in stages. You’re never going to end up feeling free and fulfilled by accident. You have to have a plan. And in my experience, there is a path that you’re likely to follow from wherever you are now to the point where you feel like you’re earning good money and you have more of the most important resource, which actually isn’t with money at all. It’s time. They go like this. There’s four of them. Now I’ll dive into each of these seasons of freedom and fulfilment in future videos. But I want to give you a quick overview so you know generally what they are. 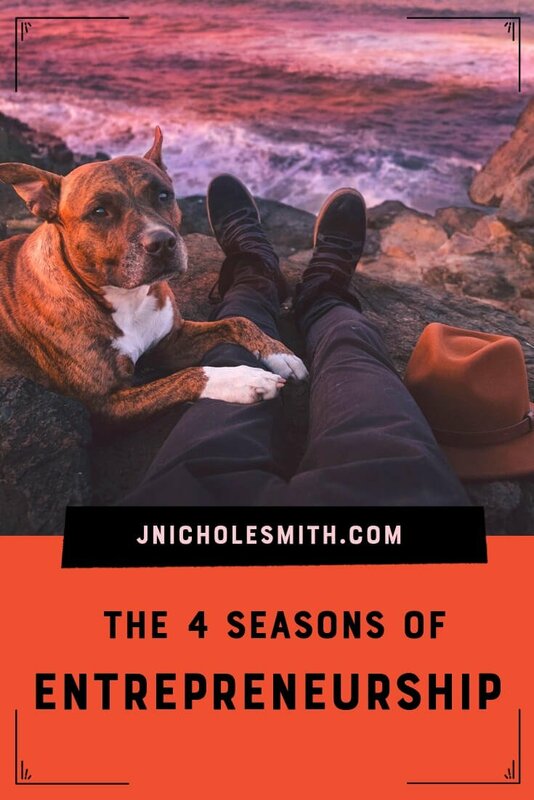 So the first season growing your business is all about one very important thing that’s easy to get distracted from, and that is simply getting stable, feeling like you know how to go out and make money in your business when you need to. So I think of this a little bit as learning how to make more money with less stress. Also being able to get through that resistance and fear, which keeps us from starting and helps us be able to just get out there and do the one thing you need to do when it comes to marketing, which is create more conversations and to create more conversions. We’ll talk about that more later. The second stage, once you’ve gotten stable and you have a little bit more time and a little bit more money to spend, is to craft a brand. This is when you know who you are, you know who you sell to. You’ve been in business a little while and you might have a little bit of money to invest in doing some of the fancy pretty stuff like a new logo, a new website or maybe some cool packaging. But it’s not just about getting pretty, it’s about understanding why you do what you do and crafting the communication that helps you communicate that with your customers in a way that excites and delights them. The other side of that is also starting to turn some people off because you don’t want to be walking down the middle of the road. If you’re trying to make everybody happy, you’re not making anyone excited. So you craft your brand. That’s stage two. Stage three, once you have a brand instead of just a business, then you need to grow that brand. So it’s much like growing a business, but instead of just learning how to make more money with less stress, you’re also trying to act like a brand, which requires things like building an audience and building relationships. Maybe you’re trying to compete online, so you’re trying to be very competitive. You’re trying to stand out. So maybe you’re looking into things like PR or building authority. Growing a brand is probably where you’ll spend most of your time. You’ll look at becoming more scalable so that you can earn more money in less time. 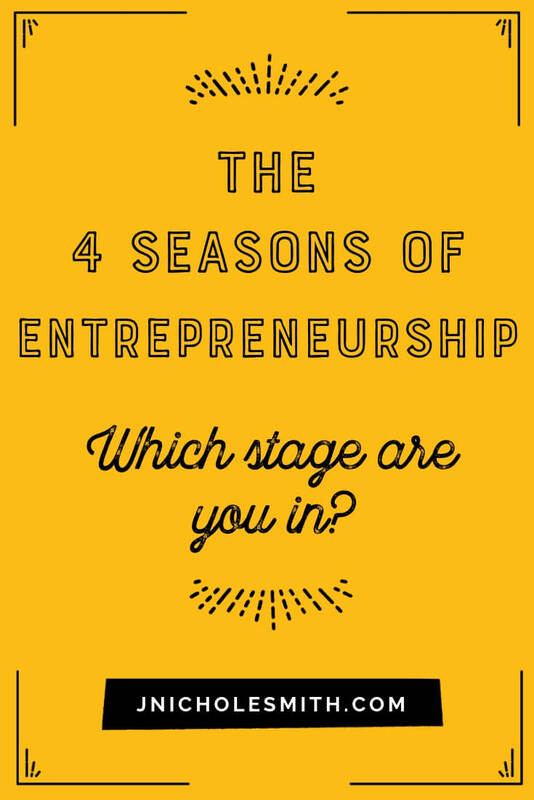 And that leads us into stage four which is the most exciting one, which is where you fund your freedom. You’re never going to get more freedom as an entrepreneur by accident. You’re going to have to plan it. You’re going to have to have a plan. Equally, you’re probably also going to have to buy ways to get yourself out of your business and that comes down to some really simple factors that involve either money or products or people, and we’ll get more into that later in a different video. But I just wanted you to think about keeping an eye on this fund your freedom stage. Now, even if you’re in the grow your business stage, because it’s probably not as far away as you think and you can be making decisions now that can help it be closer and closer. Funding your freedom is about really learning and understanding how you as an entrepreneur want to be spending your time and then finding ways in your business to make that possible. Maybe you sell maybe a franchise, maybe you create passive income, but there’s going to be some way that you get more time back to spend it doing what you love. So there you go. 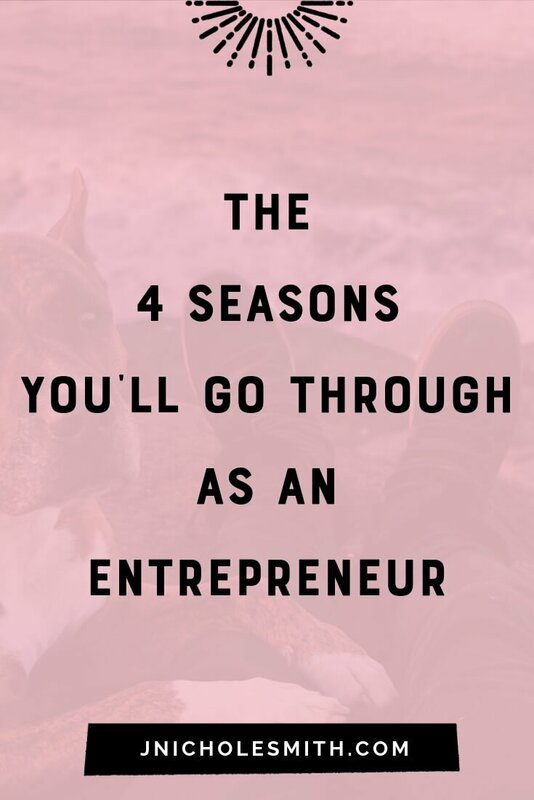 Those are the four seasons of freedom and fulfilment, growing your business, crafting a brand, growing a brand, and funding your freedom. You’ll find more videos to help answer your questions about how to do all of this in the future on our YouTube Channel… and If you want more free resources to help you work through this, visit us over in our Private Facebook Group. This is a place where we have conversations all the time about topics like this and support #enchantedrebels like you who want to find freedom and fulfilment by building brands instead of just businesses. I hope to see you inside.